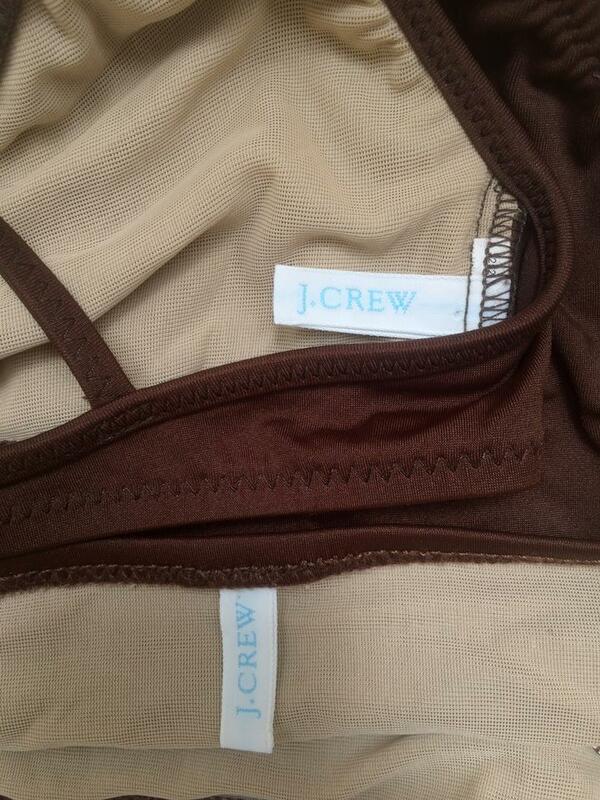 Brown J.Crew bikini, worn once. 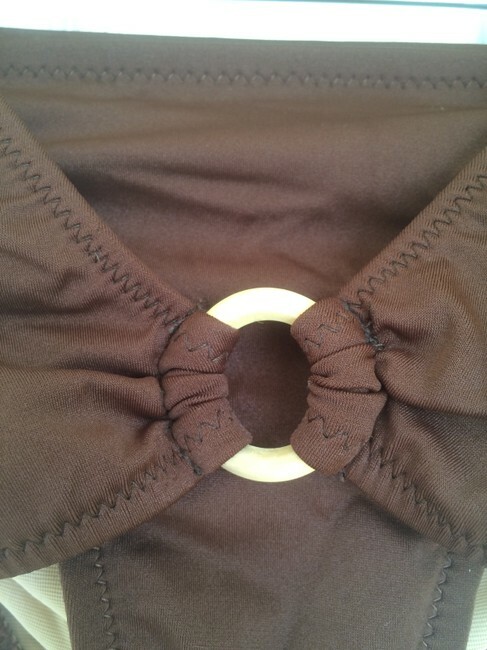 Top has hook closure in back. Both top and bottom have bamboo-like circular accents (one in center of top and one at each hip on bottom). 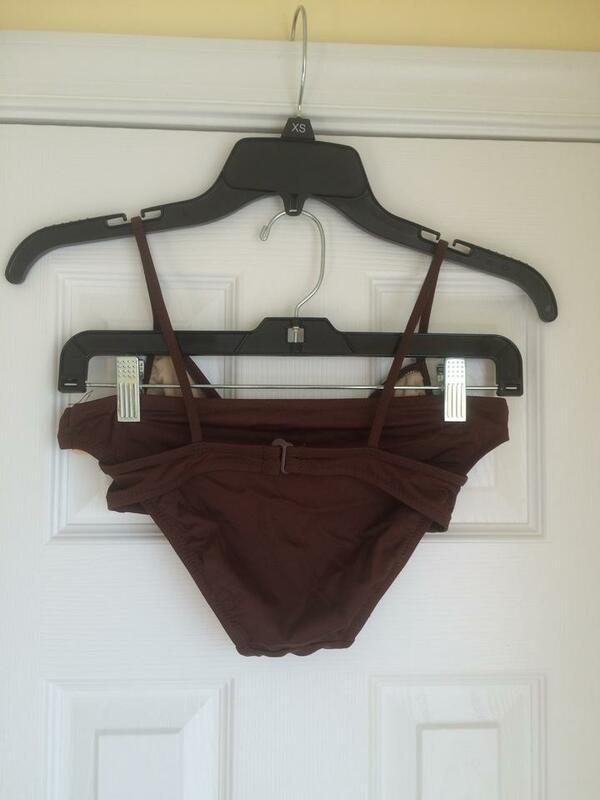 If you're looking for a bikini that's not going anywhere, this is your bathing suit!